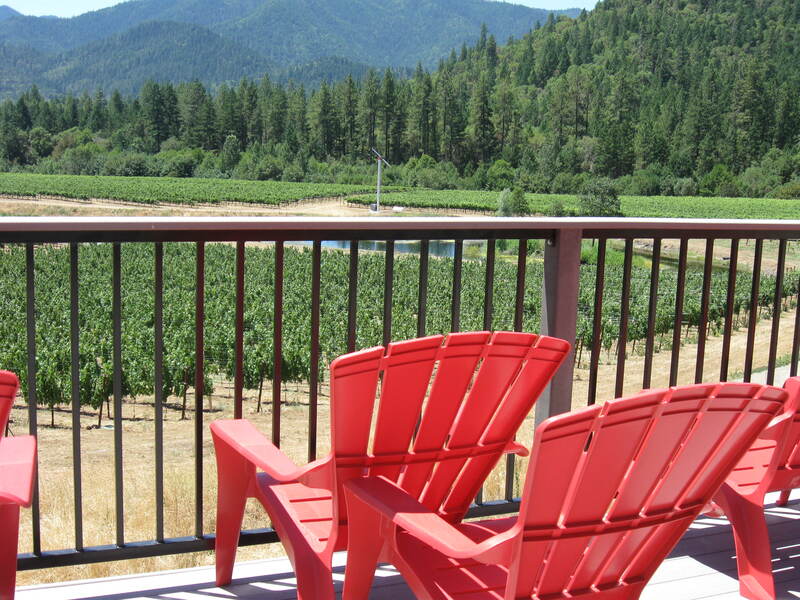 Lounging on the terrace of Schmidt Family Vineyards, in southern Oregon’s Applegate Valley, I’m sipping a light Sauvignon blanc and wondering why I haven’t been here long before now. 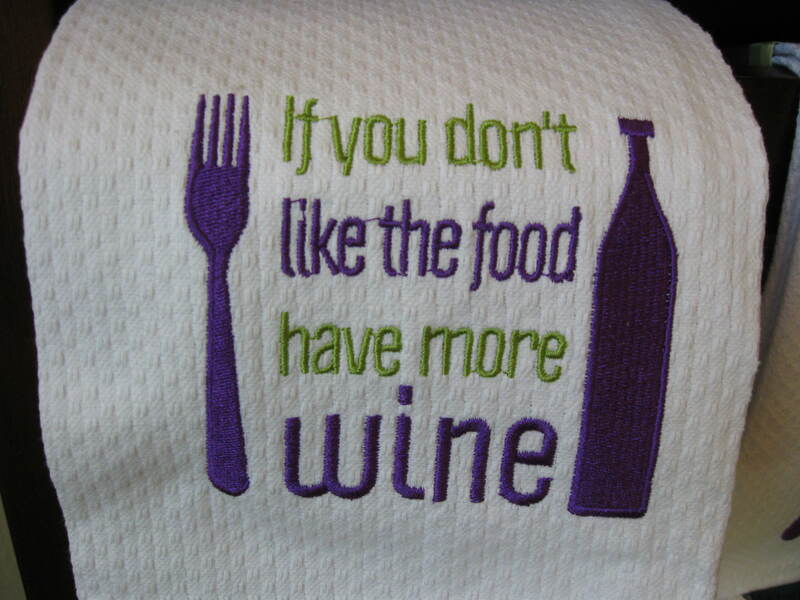 The wine is delightful, the landscape idyllic, the winemakers friendly and hospitable. 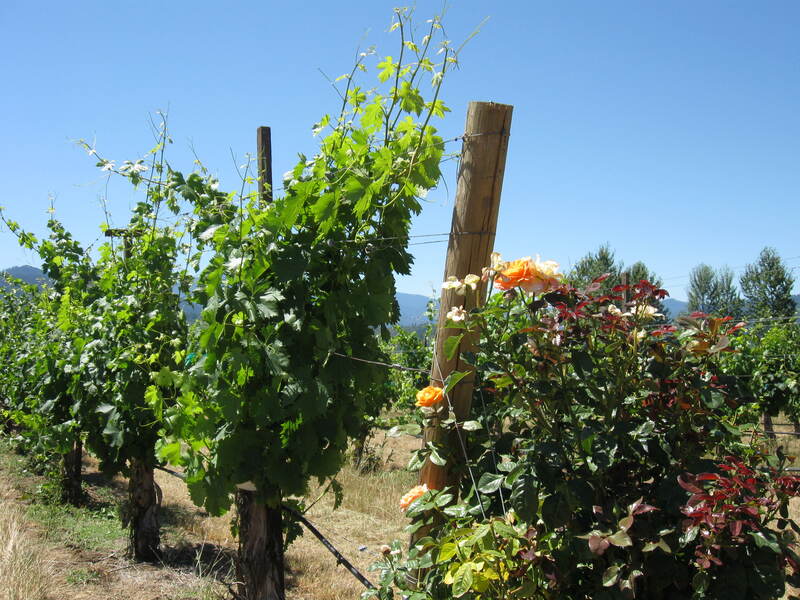 The Schmidts’ winery is only one of dozens in the valleys of southern Oregon: the Rogue, Applegate, Umpqua and Illinois, which have so many microclimates they can grow both warm and cool climate grape varieties. 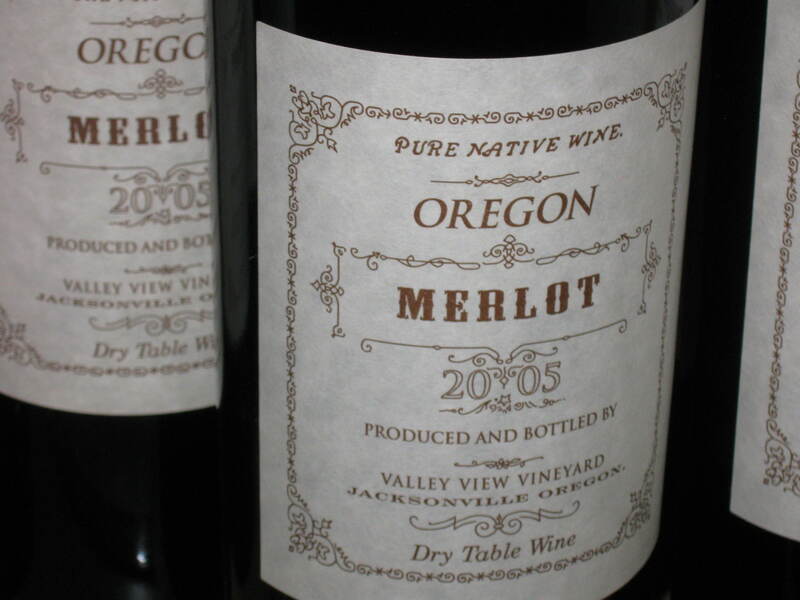 Pinot noir, Merlot, Cabernet Sauvignon, and Chardonnay are the main wines produced. I’m feeling lucky to be here on a sunny afternoon, under a blue sky, gazing at acres of vineyards stretching over the hills while I sample a few vintages. 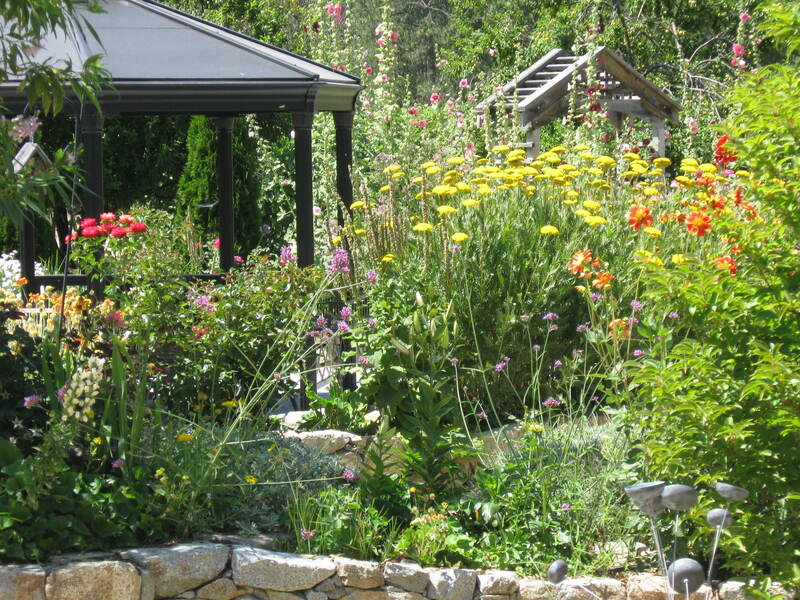 Judy and Cal Schmidt, who bought an old ranch 13 years ago, have been incredibly busy, not only growing grapes and making wines, but putting in flower and herb gardens, a picturesque pond, tree-shaded lawns, and a terrace where visitors can enjoy pizzas and antipasti along with their wine tastings. 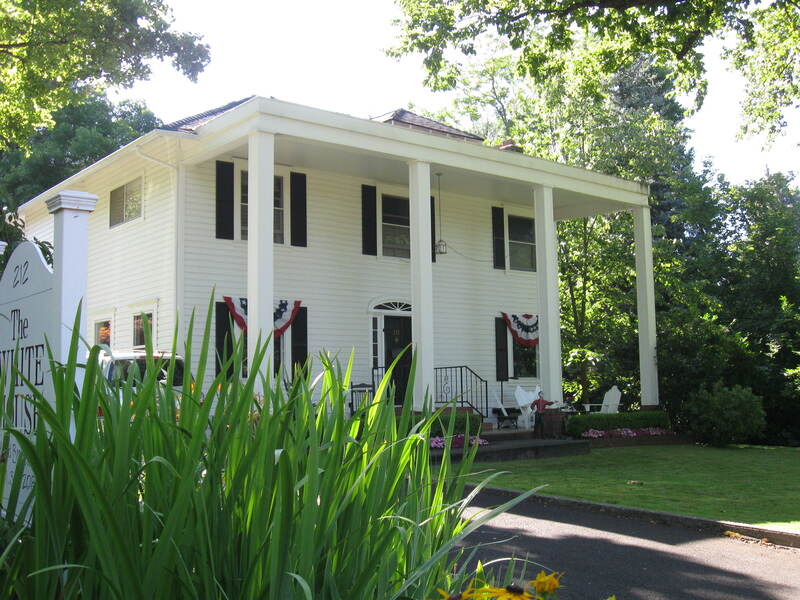 Their place is often used for weddings and concerts. 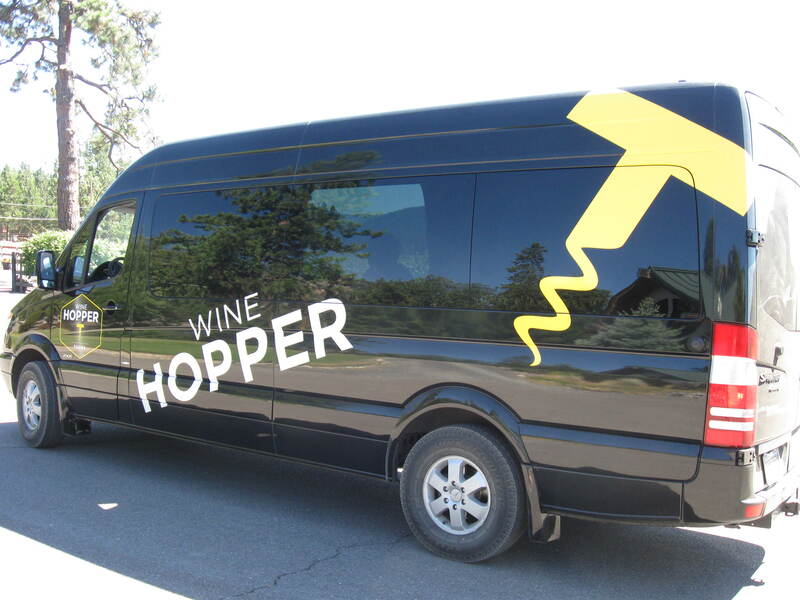 Winery-hopping is easy with Wine Hopper Tours—I can sip with no concern about driving and soak up the beautiful scenery, gliding by streams, vineyards, and forested hills in a plush Mercedes van. Plus I get the benefit of loads of information from Scott, the driver, about the local wineries, climate, topography, and soils. Also snacks and a nice lunch. This is touring in style. 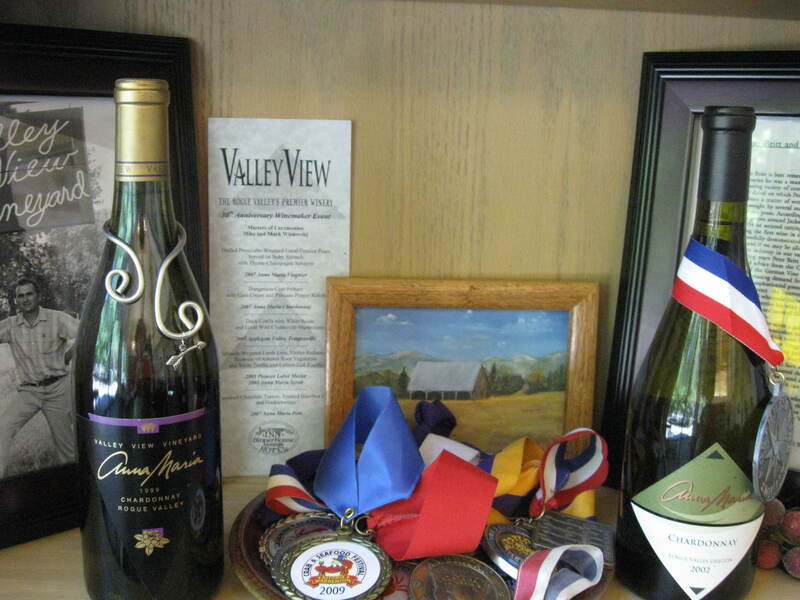 The first official winery in southern Oregon opened in 1873, when settler Peter Britt opened Valley View Winery. The wine industry limped along (and closed completely during Prohibition) until 1968, when an experimental vineyard revealed the not-so-big surprise that this really was a great place for growing wine grapes. My tour includes a stop at Valley View, so of course I lift a glass and toast Mr. Britt with a sip of nicely dry Merlot. 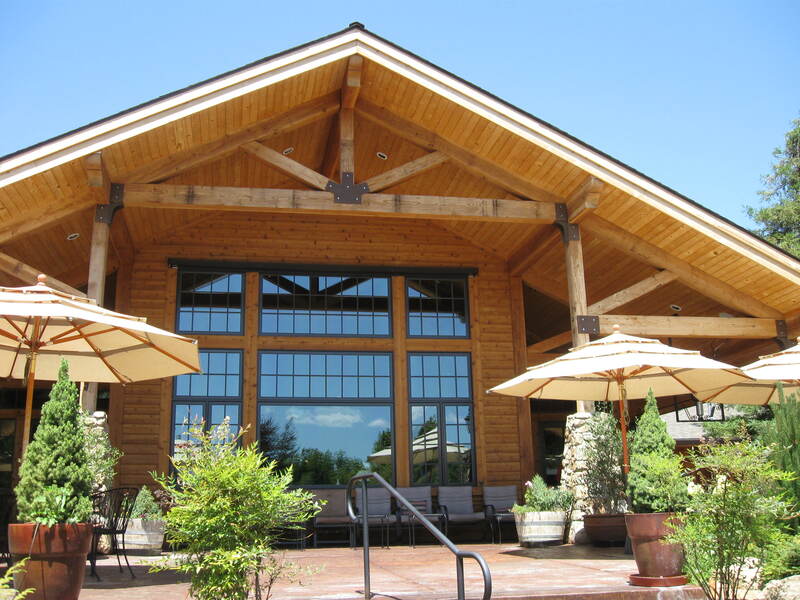 Troon is another historic winery in Applegate Valley and offers weekend entertainment and a bistro menu of local foods, as well as tastings of their signature Zinfandels and blends. At Serra winery, a lavender-lined driveway leads up a hillside to a terrace overlooking broad valley and mountain views. This is a peaceful spot for enjoying Serra’s pleasant patio wine, “Serendipity,” a blend of Gewurztraminer and Pinot blanc. And I’m quite ready for lunch, which Scott serves with a flourish. Is it the wine I’ve been imbibing or the water’s sparkle that sends me splashing into the cool, clear stream? It feels great on bare feet. 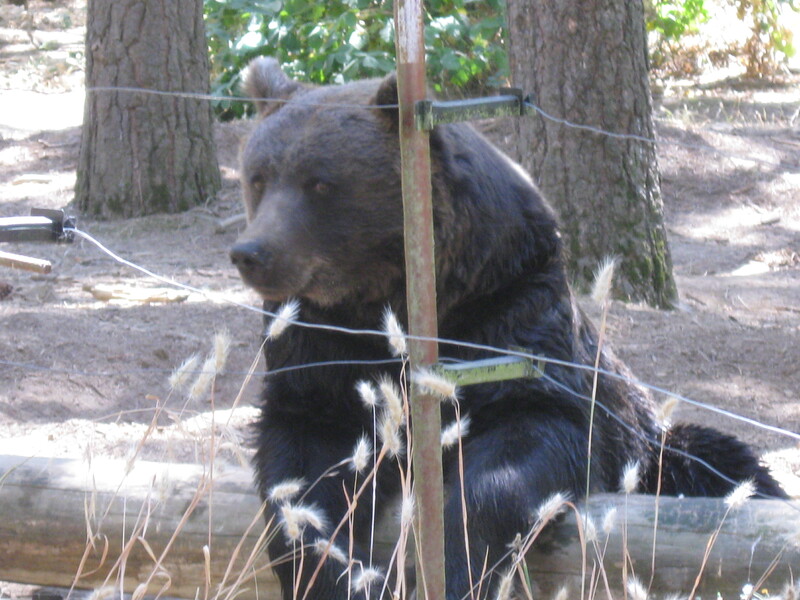 This is at Red Lily winery, a pretty spot on a hill above a tributary of the Applegate River. It has an expanse of lawn and a sandy beach with picnic tables set up for visitors. In the snazzy tasting room, I can’t pass up a sample of their earthy Tempranillo. That’s enough wine for one day, but there’s no doubt I’ll be back, maybe for “Fall Uncorked,” when most Applegate Valley wineries hold a big November celebration of the grape harvest. 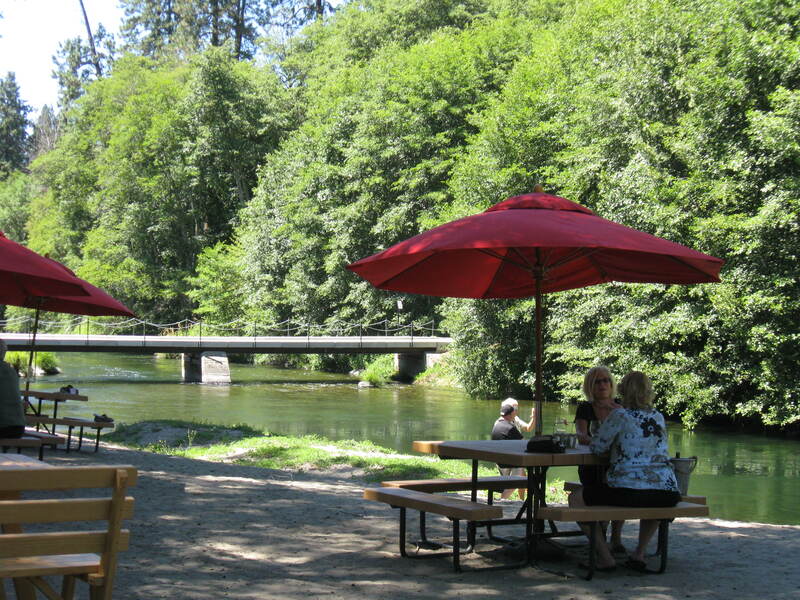 Or—a romantic notion—take Wine Hopper’s summertime Twilight Wine Float on the Rogue River. I generally don’t care to eat mold, but Rogue River Blue has changed my attitude. The delicate veins of blue molds running through this blue cheese add a tang to the firm, buttery, incredibly flavorful cheese, a perfect contrast, and I’m happy to taste it any time I get the chance. Today it’s in the maker’s facility, Rogue Creamery, in Central Point. This small southern Oregon town, just west of the I-5 freeway–four miles from Medford, 218 miles south of Portland–has attracted artisans who craft top-quality, handmade products. Cheese is one of them, and I’m watching the experts at work through large windows at Rogue Creamery. 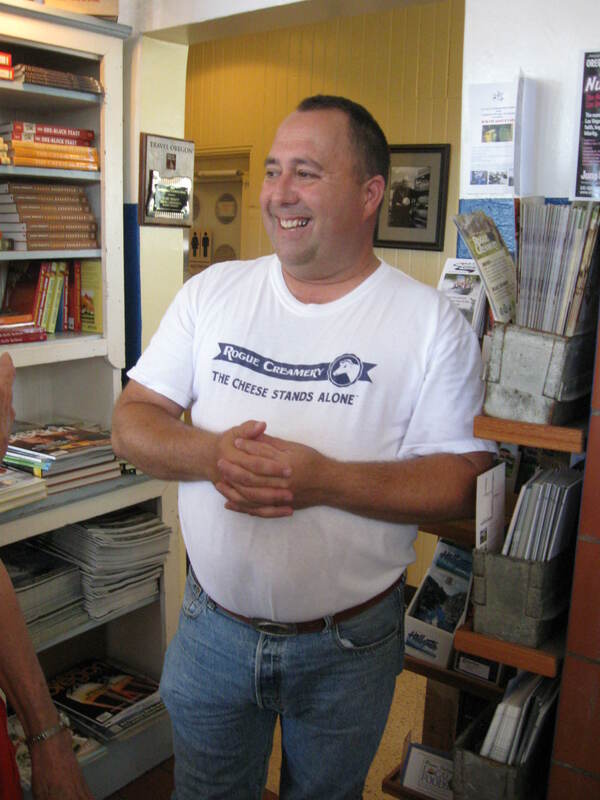 Turning rich, local milk into award-winning, internationally acclaimed cheese takes care and time, up to five years, manager Craig Nelson says. 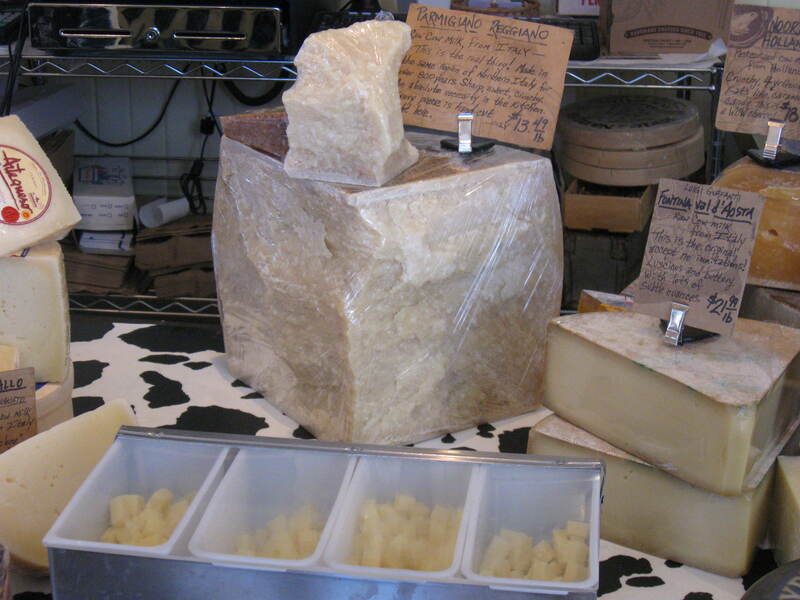 Here’s how the website describes part of the process: “After draining in their hoops, wheels are dry salted, pierced, and dipped in wax before the bulk of their aging to prevent mold growth on rind. At the end of their maturation, wax is removed and the wheels are wrapped in foil.” The blue cheese is aged for at least 90 days. Rogue Creamery has been in business for 80 years and crafts several other cheeses, the best being cheddar and their signature blue. I’m also trying something different: classic hand-milled cheddar combined with Rogue Ales’ Chocolate Stout. The beer is melded with the curd, then hand-dipped and pressed into blocks for aging. Along with the cheddar, I get hints of chocolate and coffee from the stout, a nice blend. Another produced here is TouVelle, which the makers call a workhorse in the kitchen because it’s semi-hard, mild yet flavorful, and melts evenly. In the gift shop I, along with a lot of other visitors, browse among the locally produced jams, sauces, pastas and breads and pick up a nifty chiller bag that will keep cheese purchases cool. Next door is Ledger David Winery. In what was once a 1950s garage and is now a small, elegant, light-filled tasting room, I can taste fine wines paired with, what else, Rogue Creamery cheeses. 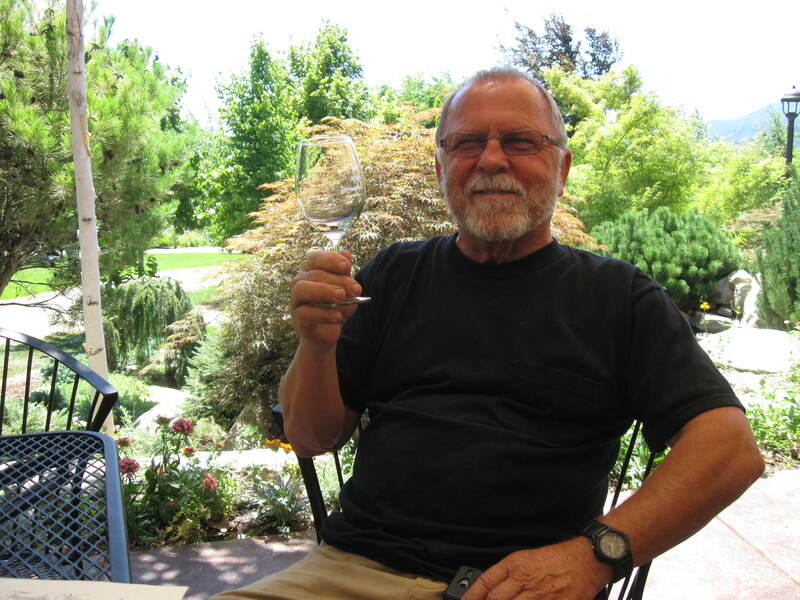 Owners David Traul and Lena Varner produce several varietals, including Chenin Blanc, malvasia Bianca, Chardonnay, Sangiovese, and Tempranillo. My favorite is their unique, award-winning red blend labeled Orion’s Nebula. It’s more than 50% Cabernet Franc and has an intriguing mixture of flavors: cherry, vanilla, cinnamon, and more. 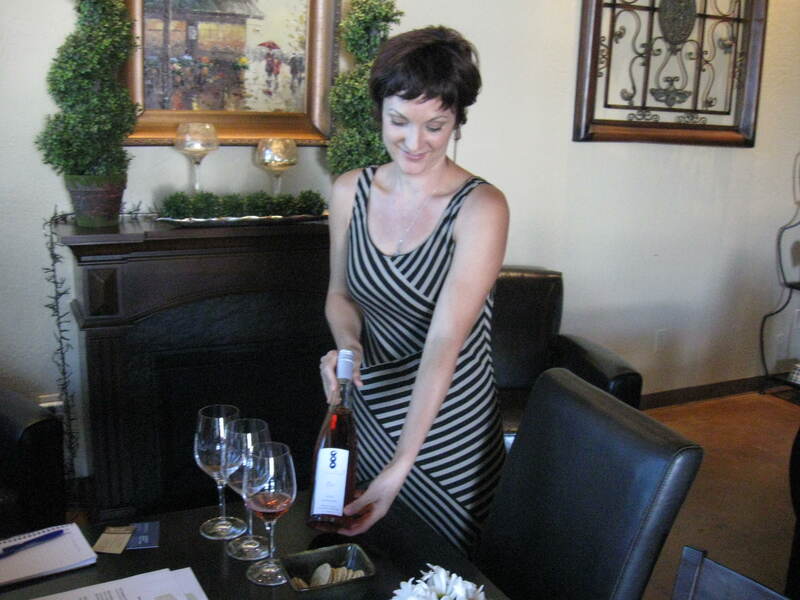 Ledger David wines come from grapes grown in their 15-acre vineyard in nearby Talent. The next shop in the developing Artisans Corridor is Lillie Belle Farms, and that means Chocolate with a capital C. Jeff Shepherd began selling truffles at local farmer’s markets ten years ago, naming them after his wife, Belle, and daughter, Lillie. 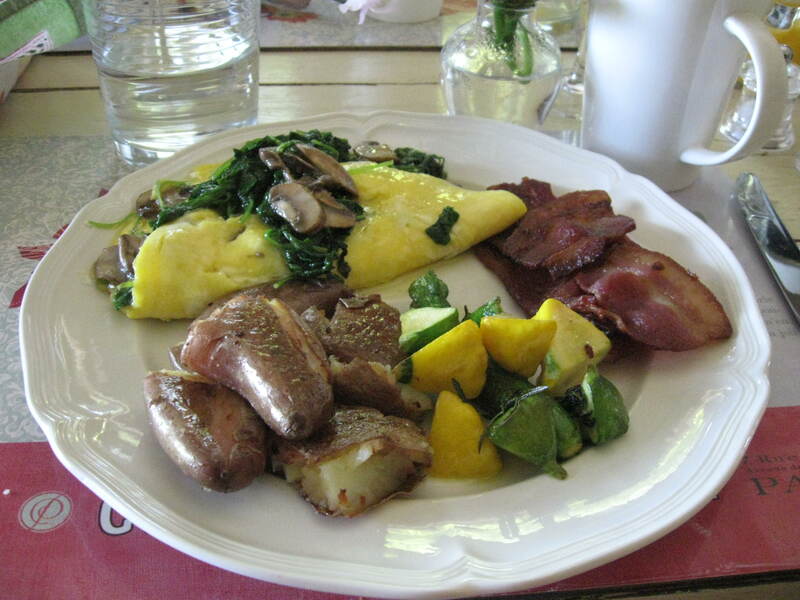 Everything was (and is) handmade with high-quality ingredients, some from his own organic farm. 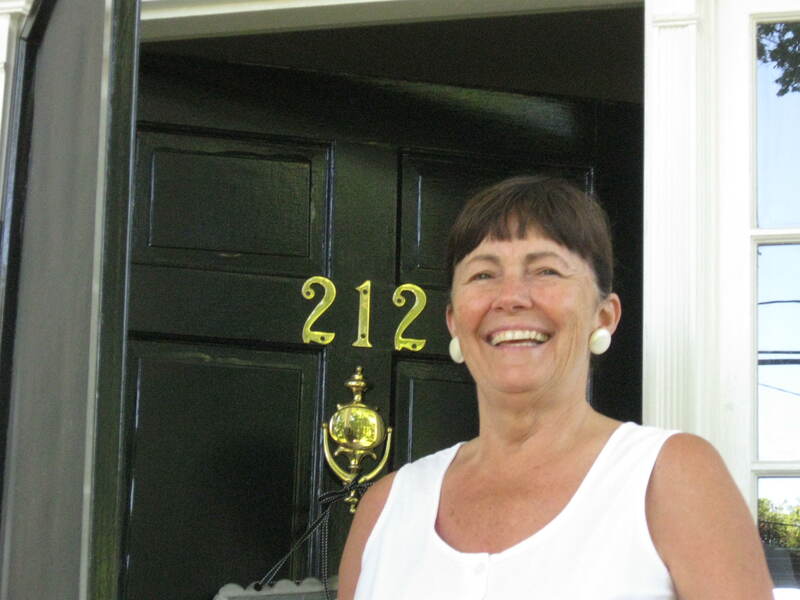 The business grew, word spread, and today Lillie Belle Farms has a staff of twelve and sells more than 20,000 pounds of chocolate products a year, worldwide. 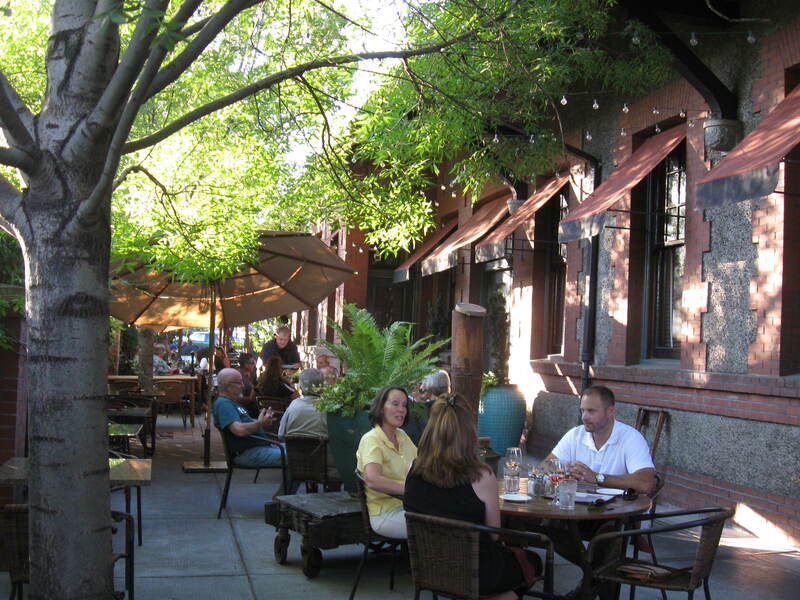 In 2009, Jeff was chosen by Dessert Professional magazine as one of the top ten chocolatiers in the U.S.
One of the best things about the place is its festive atmosphere. It’s fun to walk in the door, sniff mouth-watering aromas, and survey the bon-bons, ganaches, caramels, truffles and chocolate bars. 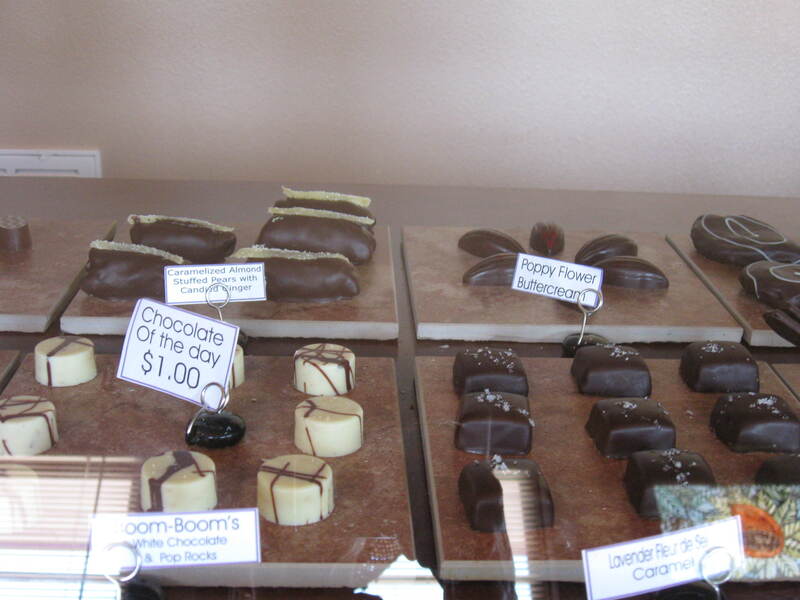 Glass cases hold spicy cayenne caramels, blue cheese truffles, chocolate-covered bacon, and chocolate fortune cookies. Anejo candies contain tequila, lime and salt. It’s mighty hard to choose from these offbeat delights. One bar’s name is also a playful warning: “Do Not Eat This Chocolate,” and one taste tells you why. The chilies in this one are some of the world’s hottest peppers. It’s hot! “I warned you,” Jeff says with a grin. Artisans Corridor is a great southern Oregon stop off the freeway now, and with changes and additions underway, it’s only going to get even better. 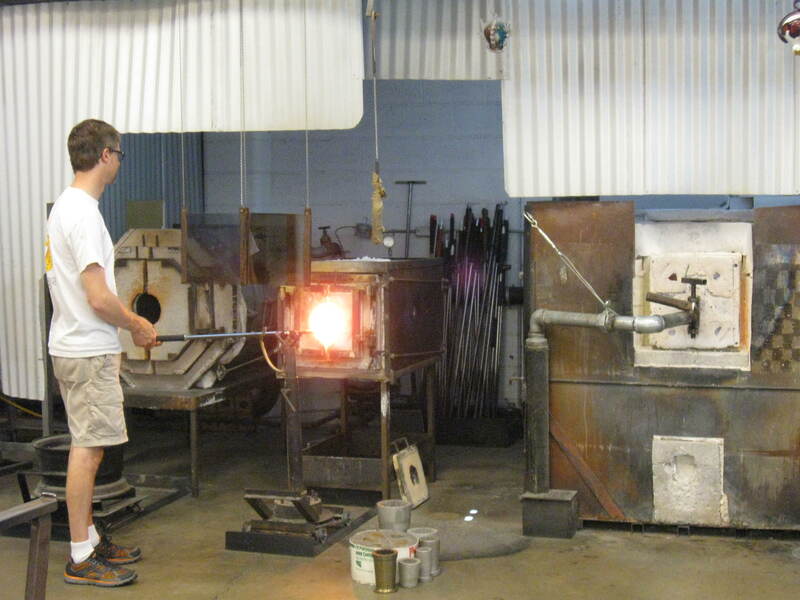 The glassblower faces an open, white-hot furnace, 2400 degrees Fahrenheit, the same temperature as the molten lava pouring out of Kilauea volcano at this moment. The heat is intense, from this and the room’s slightly cooler (900 degrees) ovens, as you’d expect in any glass forge. 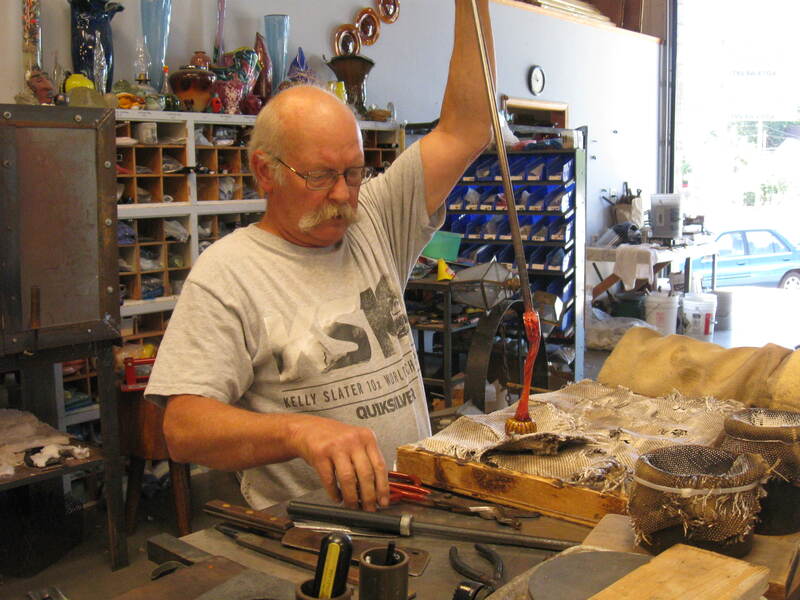 This one is the Glass Forge Gallery and Studio in Grants Pass, Oregon. It’s a warm summer day here in southern Oregon, but a breeze wafts through the large, warehouse-like studio, open to visitors who can watch the entire process. Inside the furnace, a ceramic crucible holds liquid glass–pure silica, I’m told, mined in Texas and mixed with 10% soda ash and lime. The long hollow pole dips it into the hot pool in the furnace. Turning the pole constantly, the glassmaker pulls it out, spins it in a bowl of multi-colored glass bits, and carries it to a curved stand. He attaches a mouth tube to the pole, and now it’s my turn. “Blow hard, as if you were blowing up a balloon,” he says. I blow, but nothing much happens. “Harder.” I puff my cheeks and blow, and the glass, which will drip and ooze if it’s not continually turned, begins to fill with air and round into a ball. “Now softer.” I blow more gently, and the ball grows bigger. The expert knows exactly when to nip the ball closed, make a swirl at the top, and set it to cool. 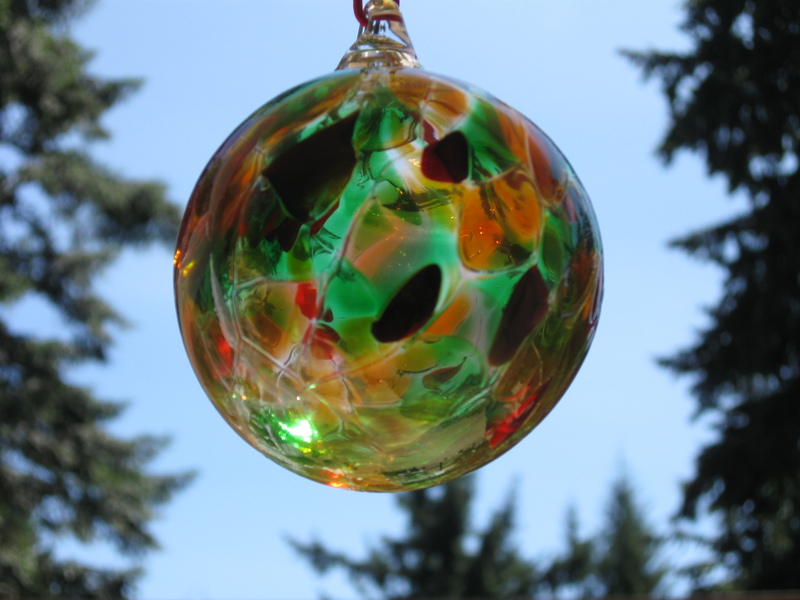 I, with considerable help, have just made a beautiful, colorful ornament. In sixteen hours it will be completely cool and ready to handle. The folks at the Glass Forge will mail it to me. 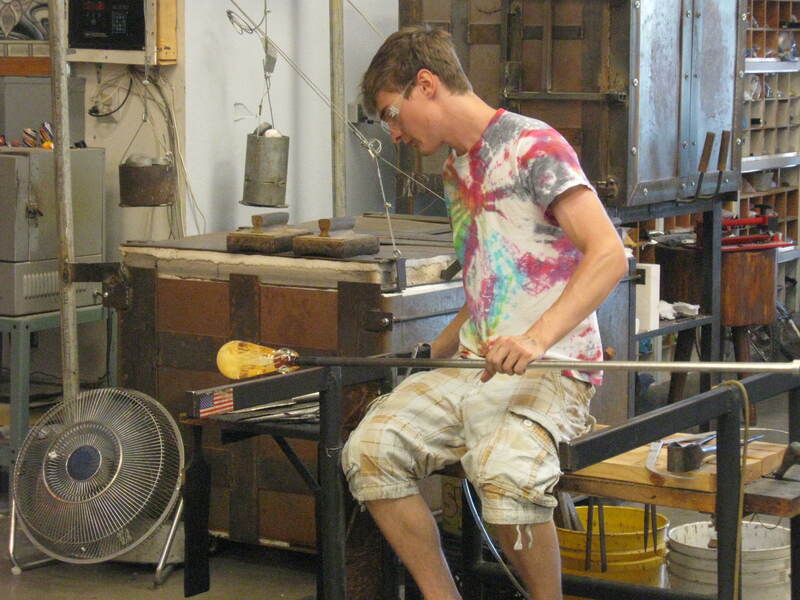 Hundreds of hand-blown glass items, from simple balls like mine to elaborate lamps, chandeliers, curved vases and art pieces, are created in the forge by a co-op of glass artists. Most have been here awhile, and everyone bears a few burn scars despite the protective shields. 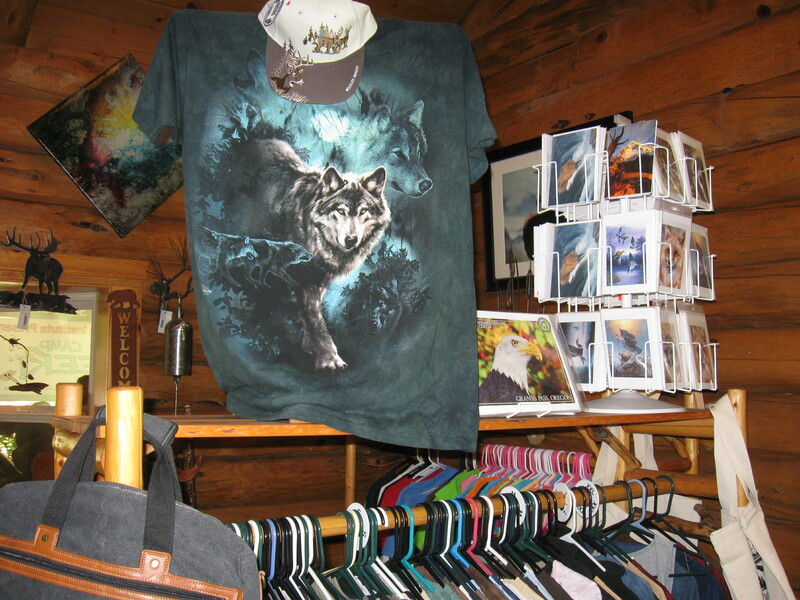 The shop, a showcase of their artworks, is open every day but Sunday. 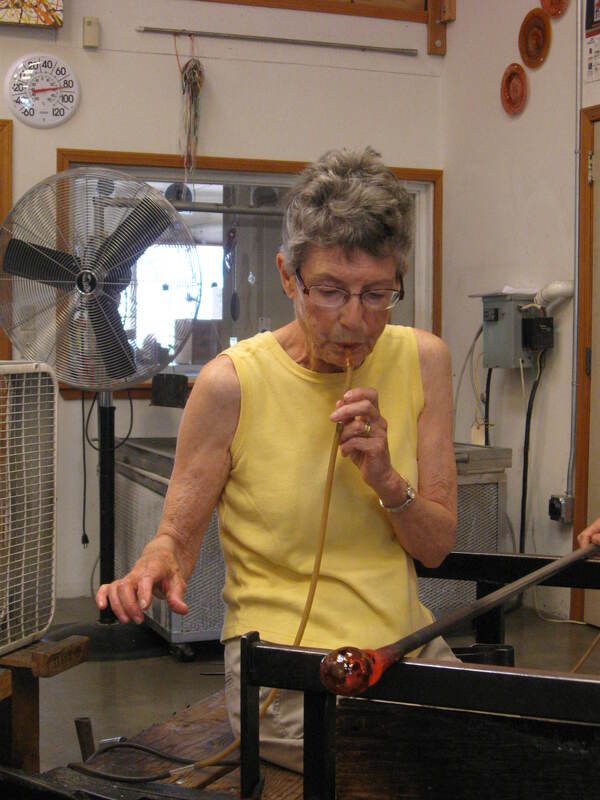 If you want the fun of blowing your own glass art–and I can testify that it is fun–come on a weekday (except for 3 weeks in August, when the place is closed for cleaning). At this writing it costs $15 to make an ornament and $20 for a more complicated piece. 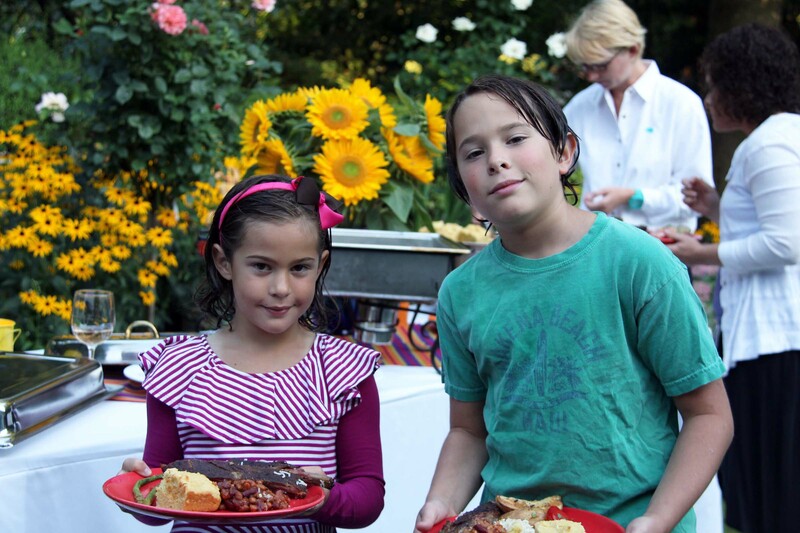 Labor Day weekend and a girl’s fancy turns to……pork ribs. 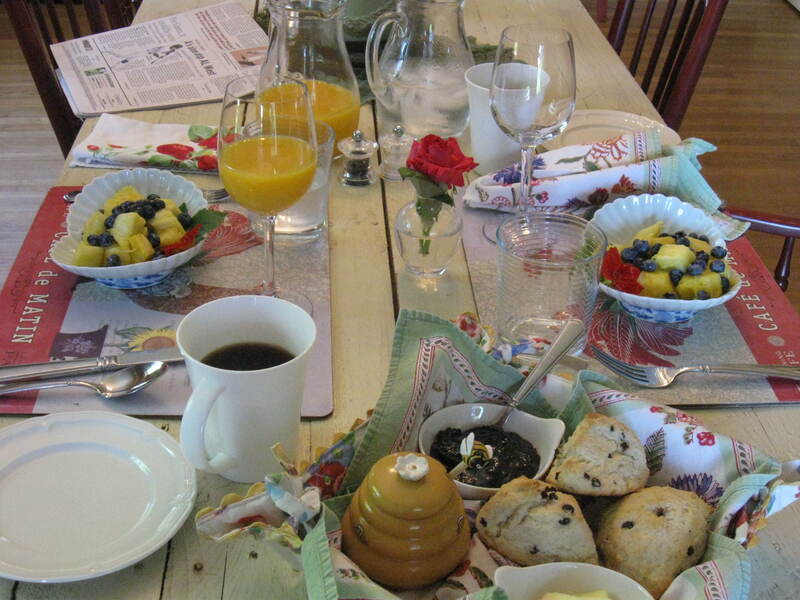 And not just pork ribs, how about perfectly tart cole slaw, corn bread and honey, baked beans, grilled vegetables and peach pies with lattice tops–pies so full of farmer’s market Sweet Sue’s that you strain to carry the dish? Now we’re talking. I’ve been a rib lover since I was three years old. Despite my allegiance to more healthful foods, I crave ribs at least once a year. It is my tried and true comfort food. I know good ribs from mediocre. According to my dad, I loved ribs so much that my folks put me in the bathtub to eat them. You could say I really got into the experience. Sauce in my hair, sauce on my face, ears, clothes….apparently the bathtub was the only alternative until I was old enough to clean myself up. So when I planned a summer party with ribs on the menu, I had to suss out the best that Portland had to offer. It was a tough job, but somebody had to do it. The catering department of an outfit in town (who shall remain nameless) was doing everything else right, but their ribs were definitely second rate: heck, they weren’t even ribs! They were little hors d’ oeuvresy things: baked in the oven instead of smoked, smothered in a sticky sweet sauce and over seasoned. And where was the delectable meat falling off the bone? Bird bones was more like it. 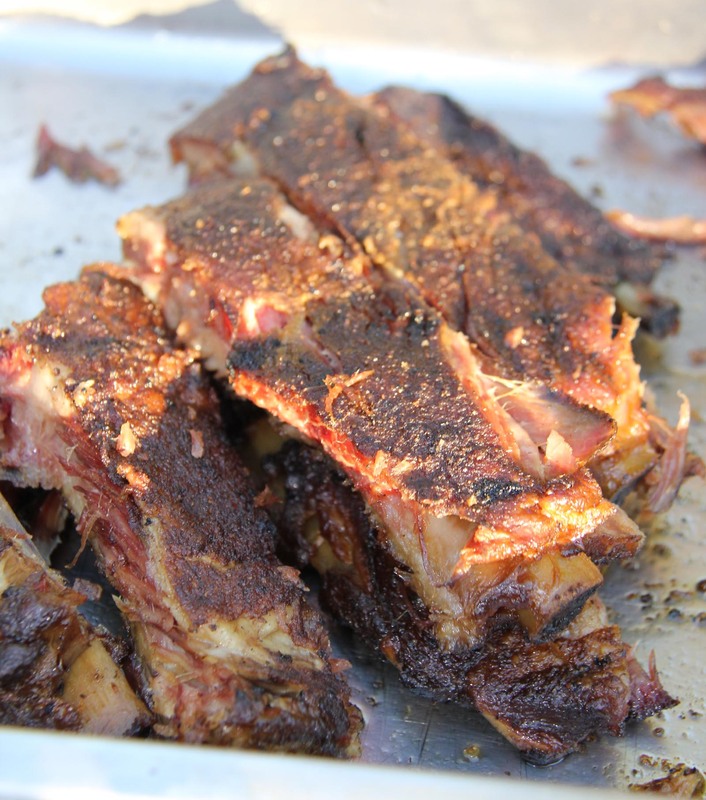 It was time to find a smoked rib purist, somebody steeped in the culinary art form. On the trail of the holy grail of summer, we started out with the farmer’s market. The verdict: ribs done in a real smoker? Yes. Local meat? Surprisingly, no, and with a rub that was too aggressive for my taste. Also the meat was dry. After that we checked out the online reviews and tried three other well-known places in town. All disappointing. A great spot in NE didn’t deliver or do large orders, so that was a no go. Time was running out. 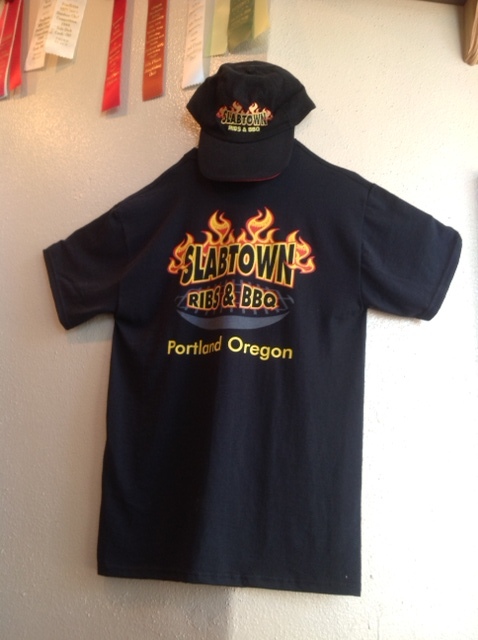 Then we discovered SlabTown Ribs and BBQ, a tiny hole-in-the-wall joint at 2606 NW Vaughn. Hard to miss it —the smoker out front is the size of a rail car and just as grungy, the way a smoker ought to be. Inside you can check out the awards and trophies lining the walls while you figure out whether to go with the brisket, the pork ribs or something else on the menu. And sauces? The staff will offer you one of three sauces: Kansas City Classic, Texas Hot, or Carolina Style Mustard, but like me, you may figure out that the meat is so fall-off-the-bone tender and the flavor so succulently smoky, that you don’t even need the sauce. The morning after the garden party, I came downstairs to raid the refrigerator still wearing my white cotton nightgown. What is better than ribs and peach pie for breakfast? Only roasted turkey, gravy, and stuffing sandwiches the morning after Thanksgiving has the same cachet. I pigged out. I gobbled up three ribs and two pieces of peach pie before feeling completely decadent and satisfied. Then I noticed the fallout: my perfect glossy red manicure covered over with sauce, sauce on my chin, cheeks, and unfortunately, all over my white cotton nighty. I looked like an extra from Dracula. It occurred to me to call Dad to tell him about the successful party, but should I tell him about the fiasco unleashed all over my face and nightgown? Besides I already knew the answer. He’d just say: Susie, my girl, why didn’t you have your breakfast in the bathtub? Here at the Portland Rose Festival City Fair (in former years, “Fun Center”), I’m sloshing through a lot of mud, thanks to more rain than anyone needs to start a summer. Good thing I wore grubby shoes. 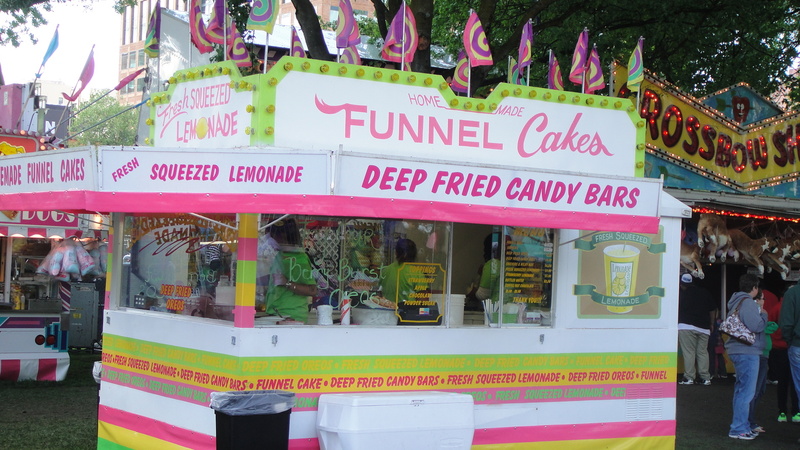 The sun is shining, though, off and on, and folks are having a great time on wild rides, eating heart attack foods (fried ice cream, corndogs, deep-fried candy bars and cookies–and what are funnel cakes, anyway?) and shooting baskets for prizes. Jamie, age 15, and I wander through, soaking it in. 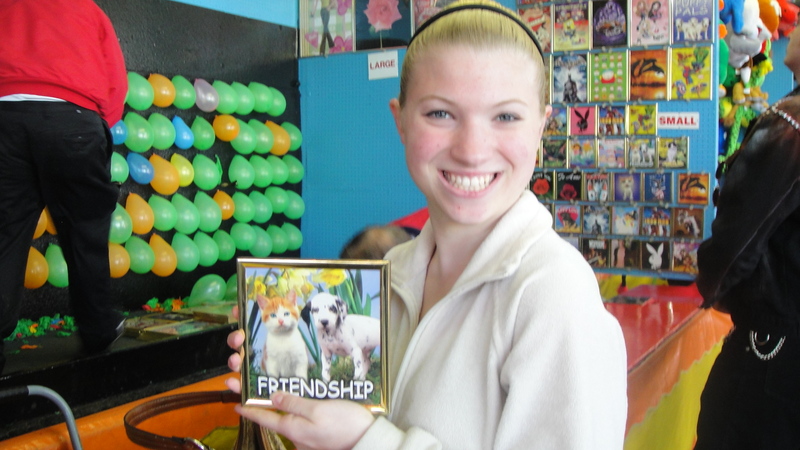 She throws darts at balloons and wins stuffed animals and a picture, but loses at getting rubber rings over bottles. When I ask the guy behind the counter if anyone ever wins this game, he says two players have. Definitely not good odds. City Fair covers a huge area at Tom McCall Waterfront Park, by the Willamette. 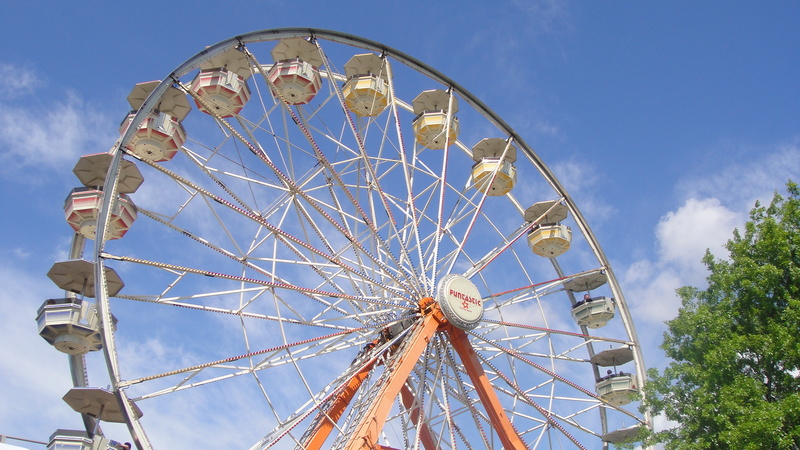 Tents cover some stalls, but rides like the Sea Dragon, the Starship, and of course the ferris wheel, are open to the sky. Vendors hawk their wares. a guitarist plays on the outdoor stage, riders scream as they hurtle through the air and turn upside-down. What’s not to like? The KATU-TV website has several comments about “weirdos” who come to the fair. That’s offensive and not what I’m seeing. 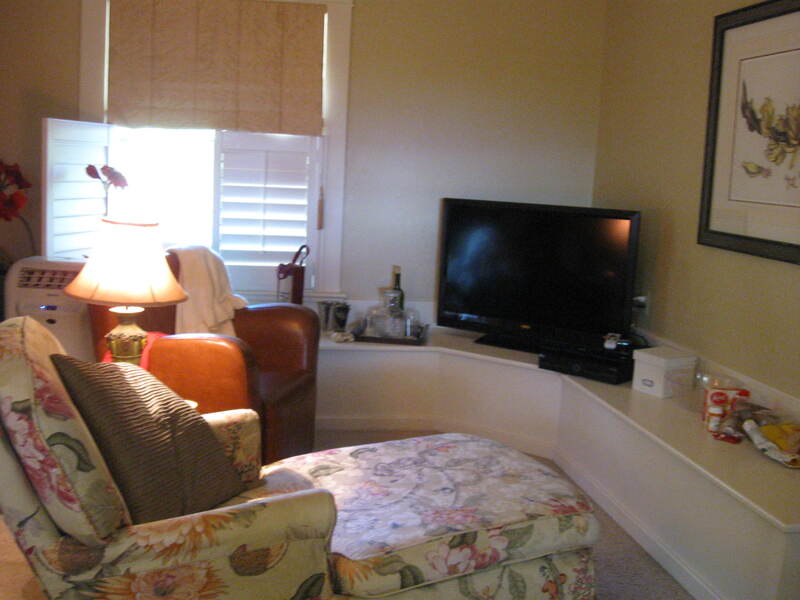 Granted, it’s not an upscale crowd. But there’s great diversity and many families, ordinary folks having fun in a festive, friendly, carnival atmosphere. 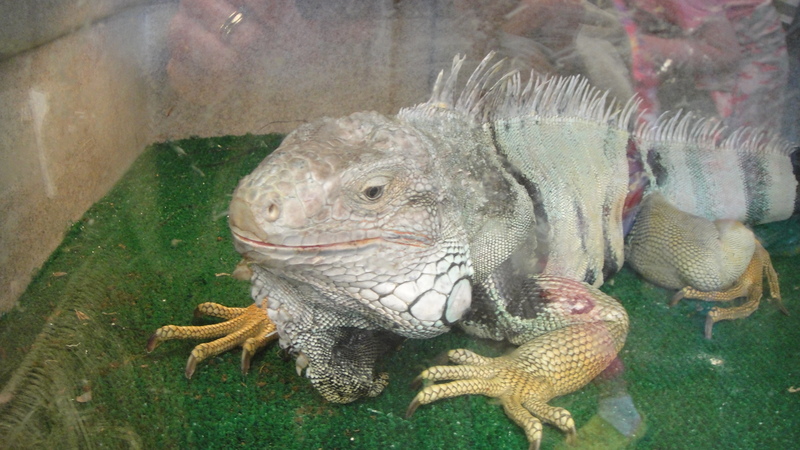 Jamie and I check out the games, rides and vendors, and by far our favorite is the exhibit of exotic animals. 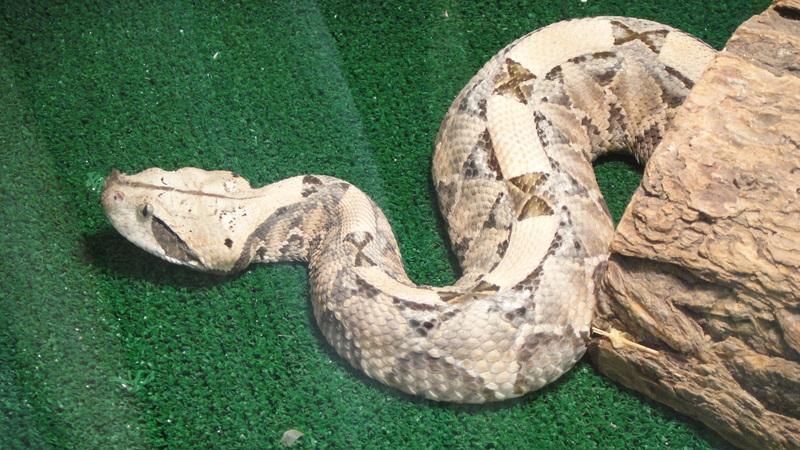 There are iguanas, an albino Burmese python, other snakes large and small, a huge Sulcata tortoise, a bobcat, a serval, and a big, gorgeous tiger. These creatures couldn’t survive in the wild, where they belong, because they’ve been (mostly) illegally kept as “pets.” At one cage people stand in line waiting their turn to get inside, where they can play with an 8-week-old Bengal tiger. Such a cute kitty! Who will soon grow to 700 magnificent, dangerous pounds. 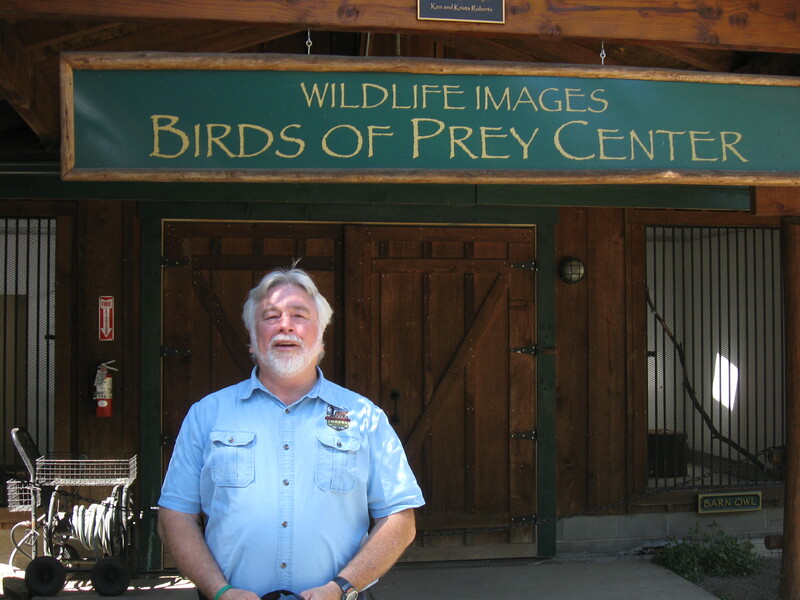 The animals belong to “Walk on the Wild Side,” a non-profit corporation that aims to care for displaced exotic species and increase interest in preserving their diversity. 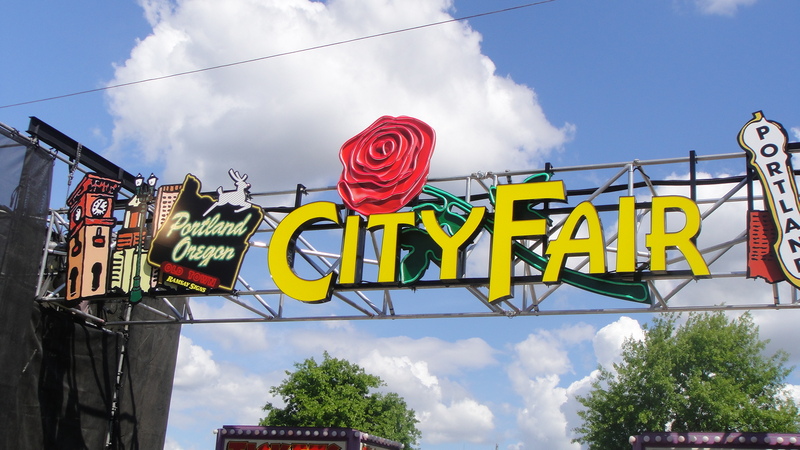 City Fair is open these dates and hours: June 2 & 3, 3 pm-11 pm. June 4 & 5, 11 am-11 pm. June 9 & 10, 3 pm-11 pm. June 11 & 12, 11 am- 11 pm. The cost to enter is $5; children 6 and under are free. 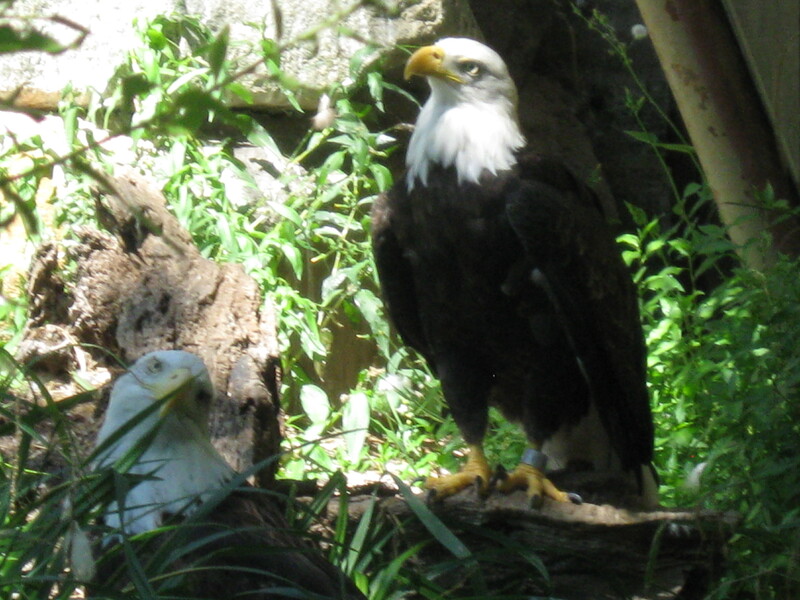 Entrance is free June 9-12 to active members of the military, vets and reservists, with one guest. You can enter as many days as you wish if you buy a $5 souvenir pin, available at Fred Meyer, Dennis’ 7 Dees garden centers, the Rose Festival Store in Washington Park, and Rose Festival office on Naito Parkway. Bring cash and don’t wear high heels.